I don't know about you, but the holidays in my household means cramming as many people as we can into one house and as much food into our stomachs as possible. As soon as we clean up breakfast, it's time to sample a fresh baked pumpkin loaf, and as soon we put lunch away, the afternoon sweets come to the table. By the time it's dinner, you've had two naps and haven't stopped eating. I've been following a low-carb diet for a couple of years and now am able to eat intuitively, so each holiday season is a little different. On Thanksgiving, I may have a full day of indulgence, but on Christmas Day, I may only feel like sampling one small gingerbread cookie. It all depends on how I feel and if it's really worth it. I am in control. The holidays can be much harder when you are still in the beginning stages of your keto journey, but they get easier with each year as you become more in-tune with your body, how it responds to different foods, and what is "worth it" to you. I know a stack of pancakes is going to make me feel ill for the rest of the day, so it's not worth it to me. But if my Auntie Susan brings her homemade butter tarts (Great Grandma's famous recipe) then I am definitely having one. With each holiday, I realize just how much my sugar addiction has declined, when someone offers a platter of desserts, it's much easier to say no. Many times my face puckers up and I can only handle one bite because it's just too sweet! I know it can be difficult, but it's important to remember how far you've come, and that one day of indulgence, or even one week, isn't going to ruin all of your physical and mental progress. You may be bloated, retain some water, and look a little fluffy for a couple of weeks, but for the next few months you can go back to your low-carb lifestyle and pick up where you left off. If you bring a keto dessert and fill your plate with turkey, ham, and vegetables then it's really not too difficult to stay on track. But if you want to find a way to enjoy some of your favorite holiday goodies, you can still do it with our Keto Guide to the Holidays. I grew up with bread believers. Toast for breakfast, a sandwich for lunch, cinnamon bun for a snack, a dinner roll with supper, and toast and tea before bed! Crazy, I know. Comment and let me know if your family is much the same. The dinner roll isn't the star of the show for the holidays, but somehow it was one of my favorites and the hardest to give up. 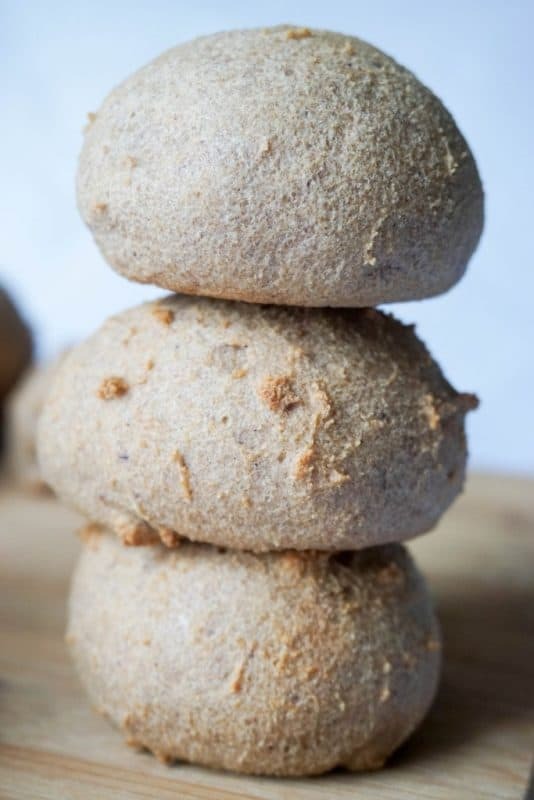 KetoConnect's Low-Carb Dinner Rolls are so easy to make and when you spread a layer of butter on top, you won't miss the real thing. Creamy Cauliflower Mash is better than real mashed potatoes, in my opinion. 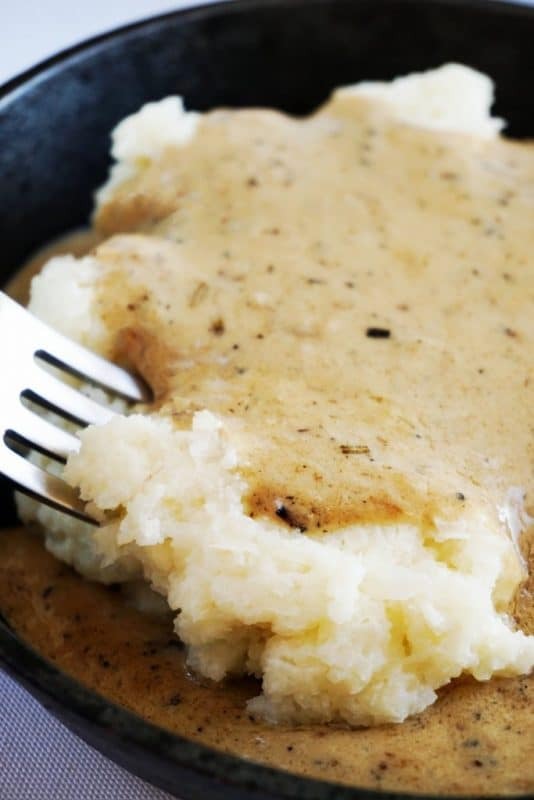 I suppose cream, butter, garlic, and parmesan cheese make any vegetable taste good, but this recipe for Cauliflower Mash comes with gravy too. Use the stock from your roaster to make a thick gravy you can pour over your entire plate. Where I live in Canada, Sweet Potato Casserole isn't a holiday tradition, but after one visit to my aunt's house in Florida, I knew what all the rage was about. After multiple attempts, Matt and Megha managed to replicate the sweet potato flavor using pumpkin and mashed cauliflower. Believe us when we say you won't notice you're not eating carb-rich sweet potato! 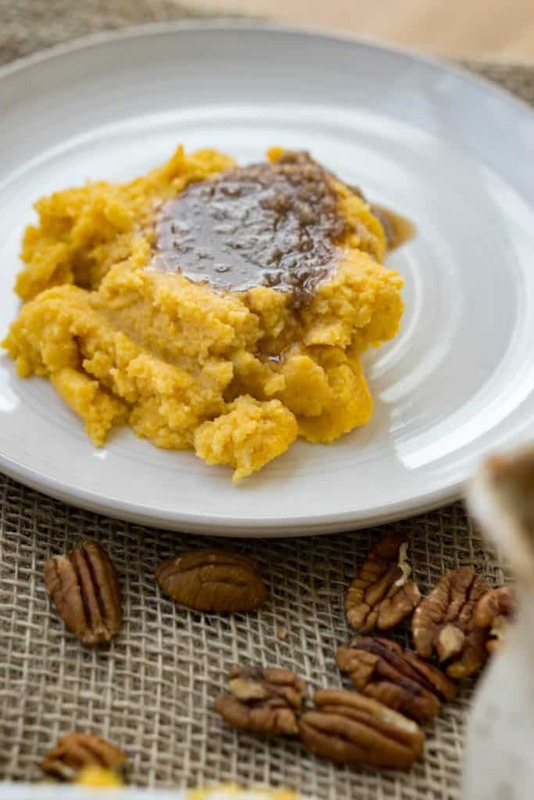 Let us know what you think of the "Sweet Potato" Casserole recipe and don't forget to make the Pecan Glaze to drizzle overtop the finished casserole. The holidays are all about the turkey, but it's just not the same without gravy and cranberry sauce. 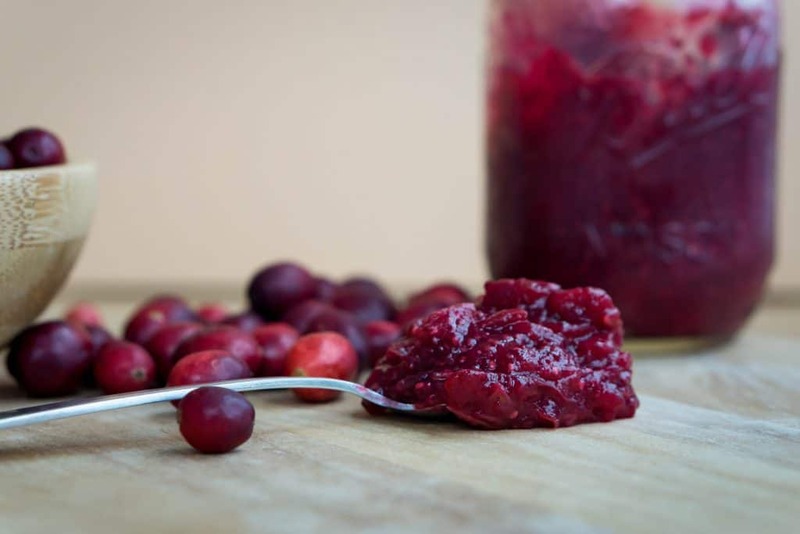 Our Keto Cranberry Sauce recipe is tarte, sweet, and made with fresh cranberries and chia seeds. No can opener necessary! Only 2g of carbs per serving too. 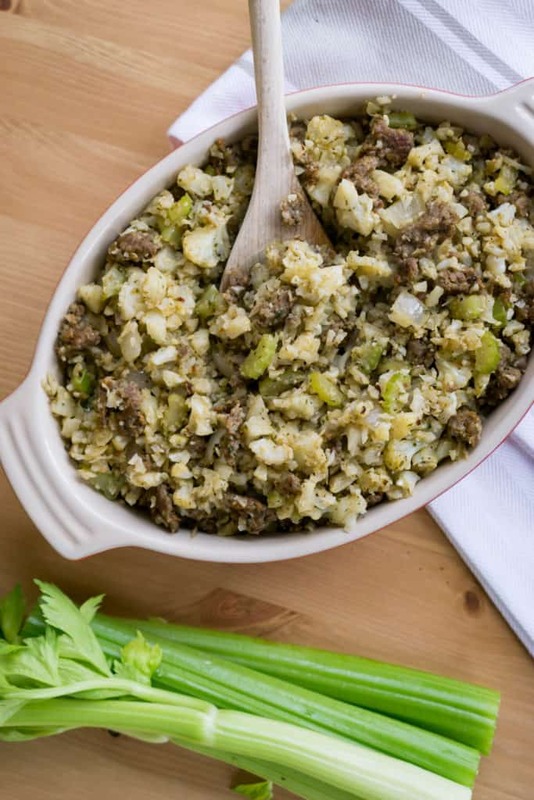 Our Low-Carb Stuffing recipe may have some skeptics, but you're in for a pleasant surprise. This recipe brings home all the flavors you want in a delicious homemade stuffing, without all the carbs from bread. A mixture of sausage, herbs, and vegetables surprisingly makes a delicious holiday stuffing. As people start to arrive for the holidays, and everyone awaits for the Thanksgiving dinner, it's always nice to put out some snacks for your guests. (It helps warm up their stomachs for a feast.) 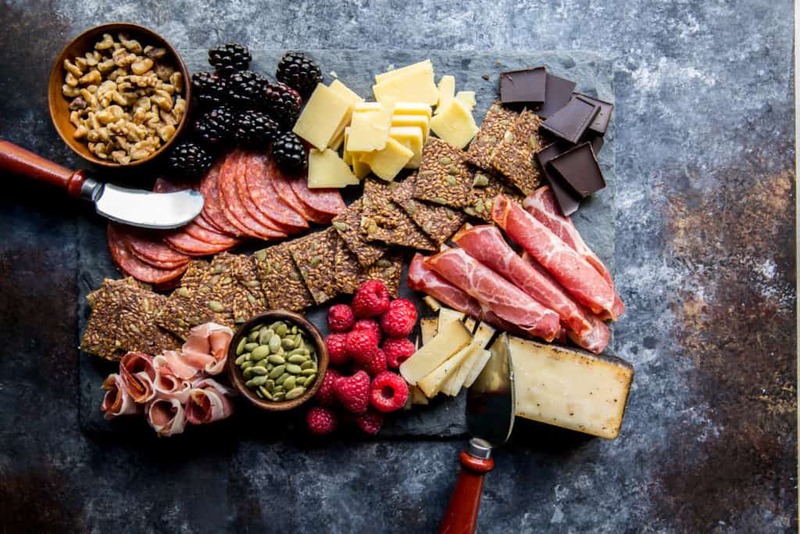 Our favorite appetizer is a charcuterie board covered with cheese, cured meats, fruit, nuts, and a hot dip. 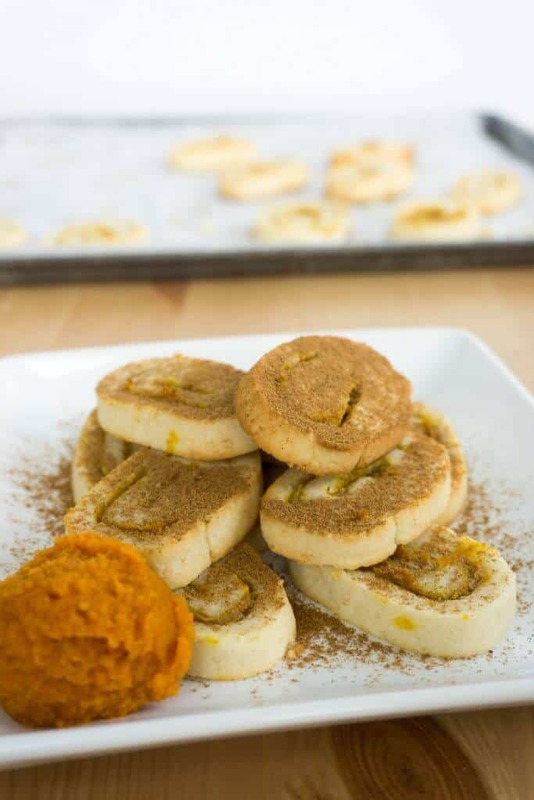 All it needs is a low-carb cracker like our Pumpkin Flackers and you've got something for everyone to munch on. This recipe took three solid experiments, but the final try was a success. The secret is the sugar-free maple syrup. A pie filling so sweet, even your family won't know it's low-carb. We perfected the coconut flour pie crust and crammed as many pecans as we could into the filling. 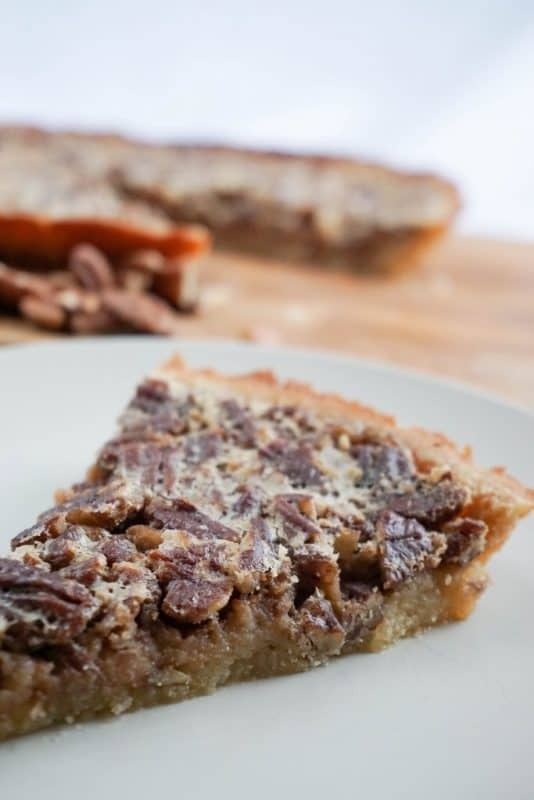 You're definitely going to make room for a slice of this Low-Carb Pecan Pie after your feast. For this pumpkin dessert, you don't have to worry about a crust. 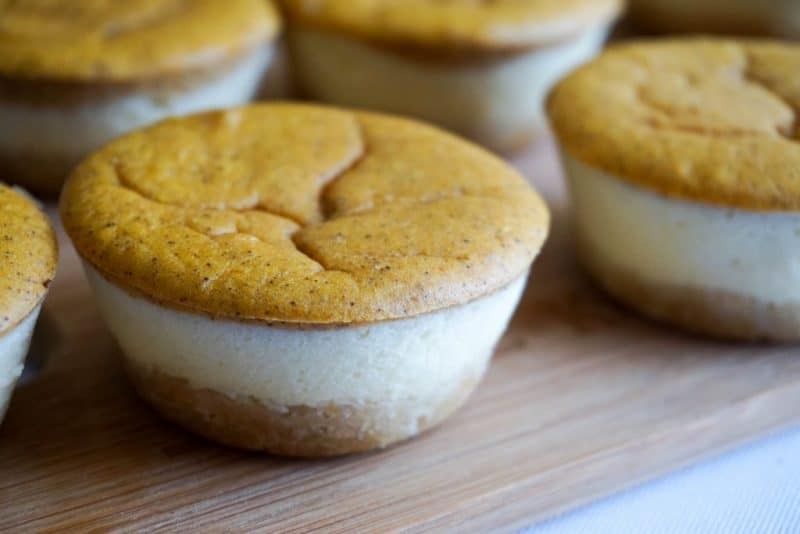 We made Pumpkin Cheesecake Cups with a layer of cheesecake in each of them so you can easily get your pumpkin fix and keep it keto. Plus, they are adorable! The term "loaf" may be a stretch for this moist dessert. 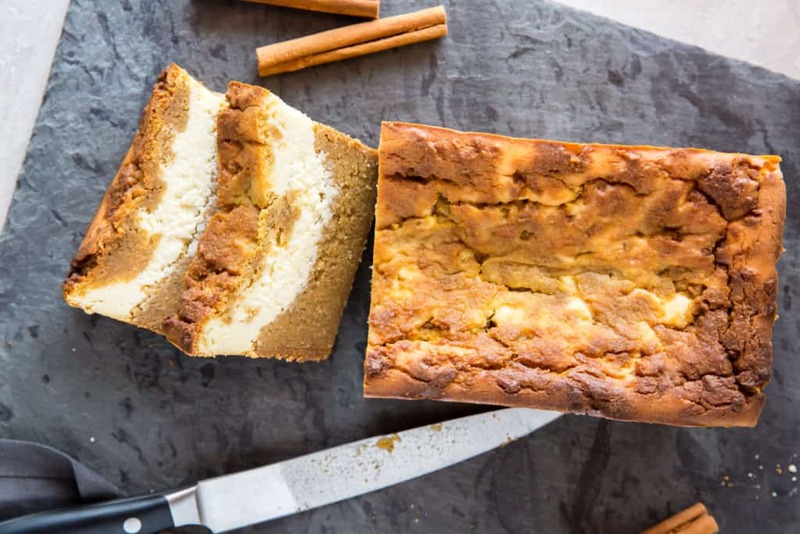 Regardless, the recipe for Pumpkin Cheesecake Loaf is delicious and perfect with afternoon coffee or with dessert tea. Between two layers of pumpkin spice loaf, is a ribbon of rich cheesecake. Step up your keto baking game with these Pumpkin Pinwheels! Not only delicious and low-carb, but fancy too. The cookie dough is the perfect base for the pumpkin spice filling. Bring a container of these home for the holidays and let us know how quickly they disappear. 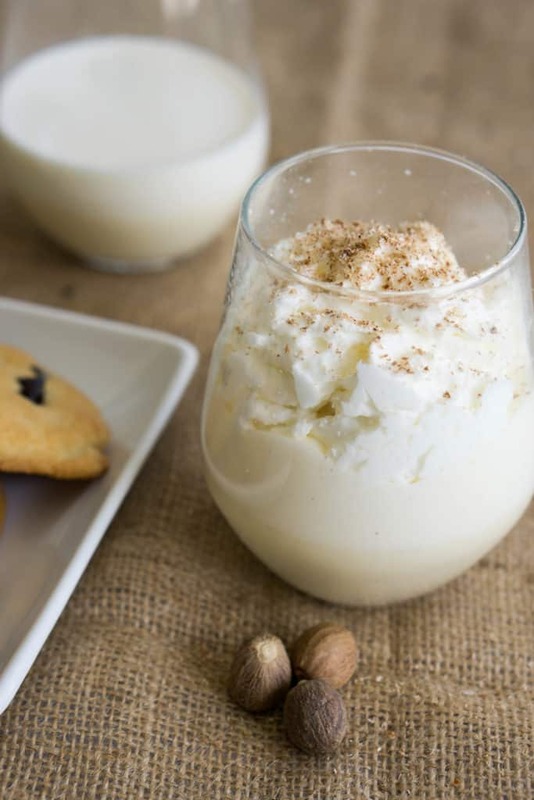 Not only is our Keto Eggnog recipe low-carb, but it's homemade. Imagine the look on your sister's face when you offer her a homemade eggnog. Family gatherings shouldn't be a competition, but in my house, they tend to be. On Christmas, every person brings an appetizer and everyone votes for their favorite dish at the end of the night. Let me know if your family has any special traditions. Don't underestimate the power of a Gluten-Free Pumpkin Cookie. 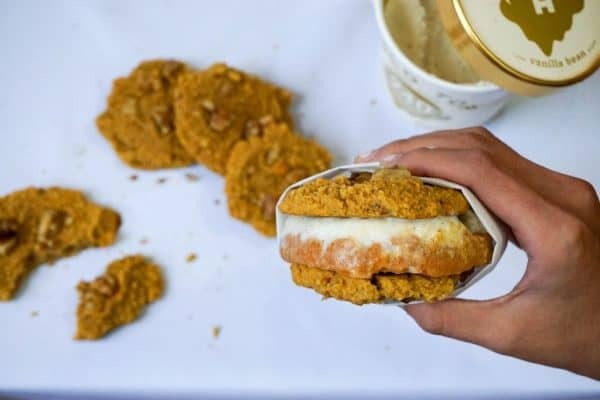 You may only like your pumpkin in pie form, but this cookie is about to change that. Grab a coffee on your way to work and pull one of these out of your bag for a sweet morning treat that won't come with an afternoon crash. Or make an ice cream sandwich using two cookies and a scoop of your favorite low-carb ice cream. 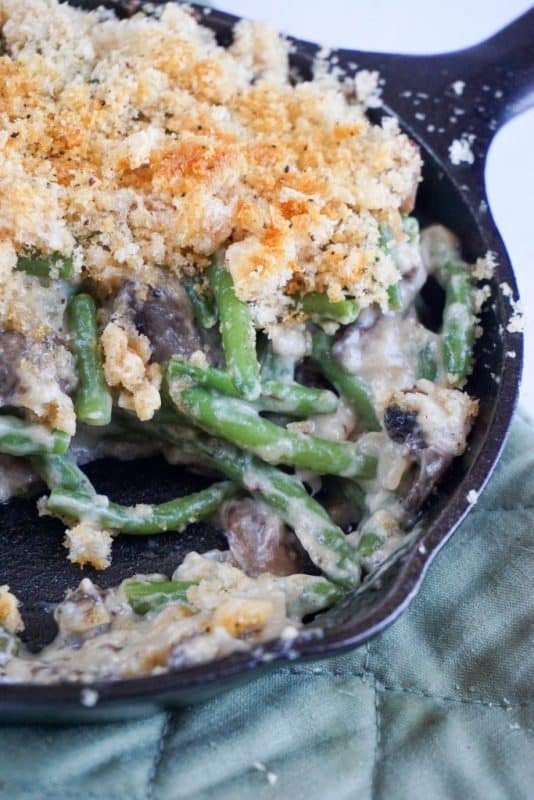 Nothing says holiday comfort like our Green Bean Casserole recipe. From the warm mushroom gravy to the golden crunchy topping, you're in casserole heaven. This veggie dish didn't require a whole bunch of alternations to make it low-carb, so don't worry! It's an easy swap. You'd think the morning after a Thanksgiving feast, you wouldn't feel like eating anymore turkey, but that's not always true. Make a pot of coffee and throw the leftover turkey into our Day-After-Thanksgiving Pancake recipe. Everyone will be back to the table in no time. 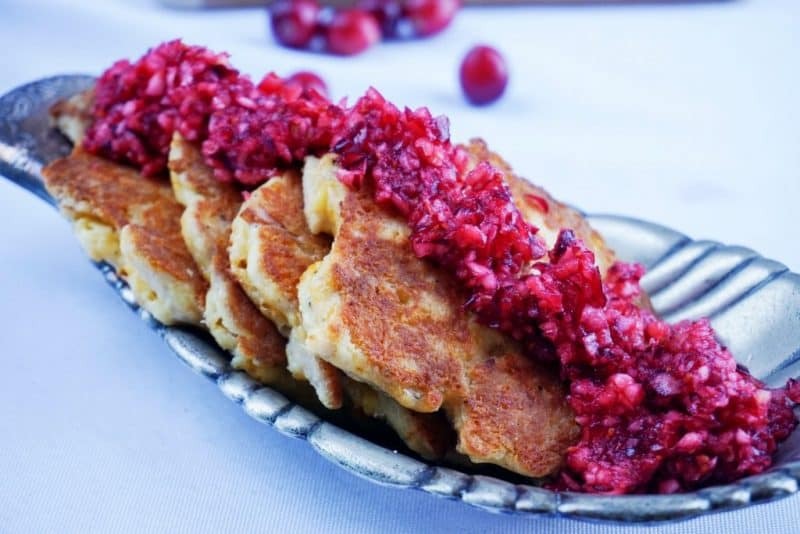 Top them with our Cranberry Relish or Low-Carb Maple Syrup. If boiling pots cover your stovetop and the turkey has taken over your oven, then this No-Bake Pumpkin Fudge is the answer to all of your dessert problems. 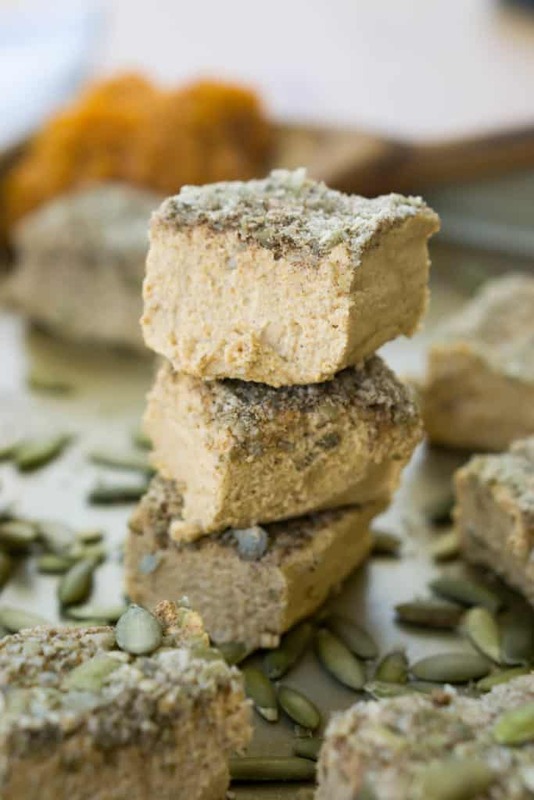 Top this rich pumpkin square with crushed pumpkin seeds for even more festive flavor and an added decorative texture. Whip it up in the morning and refrigerate for eight hours. Serve chilled. It may not be the holidays quite yet, but that doesn't mean you're not in the mood for some pumpkin treats. 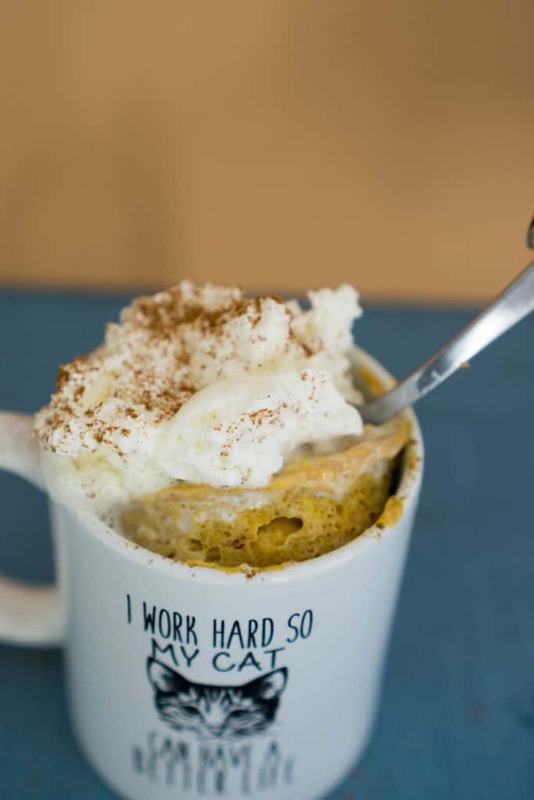 Whip up a Pumpkin Mug Cake that's low-carb and just the right size for one person. The pumpkin makes this one of the moistest mug cakes I've ever tried and I've even memorized the recipe for this guy. Top it with some whipped cream for the full fall experience. Cake is better than cookies, right? Maybe it's just my own tastebuds, but moist cake with a layer of frosting beats a gingerbread cookie any day. 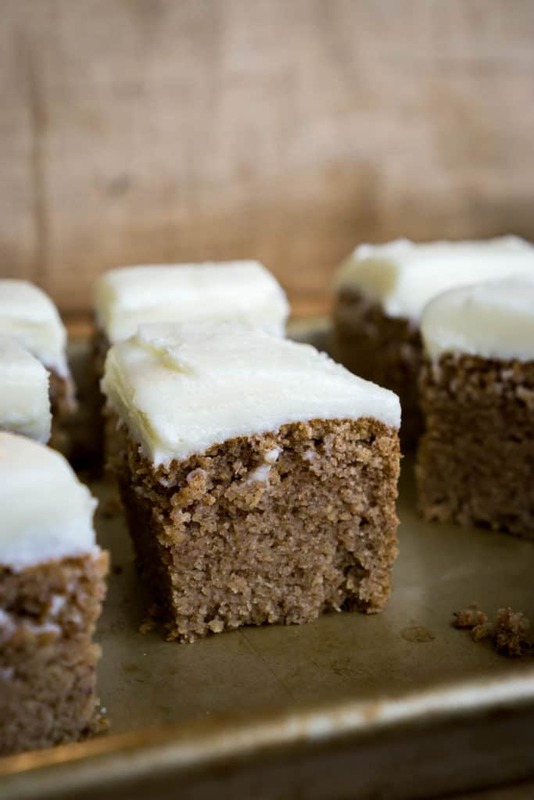 What makes this Keto Gingerbread Cake so delicious is the browned butter. It takes the festive flavor to the next level and brings out the spices in the cake. And some good news if you have a nut allergy, this cake is nut-free and made with coconut flour. 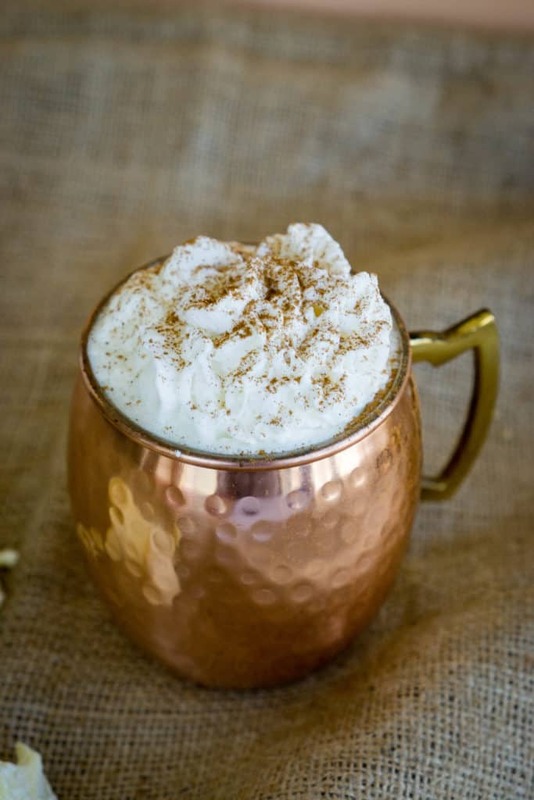 The Pumpkin Spice Latte is now keto, all you have to do is make it in your own kitchen. 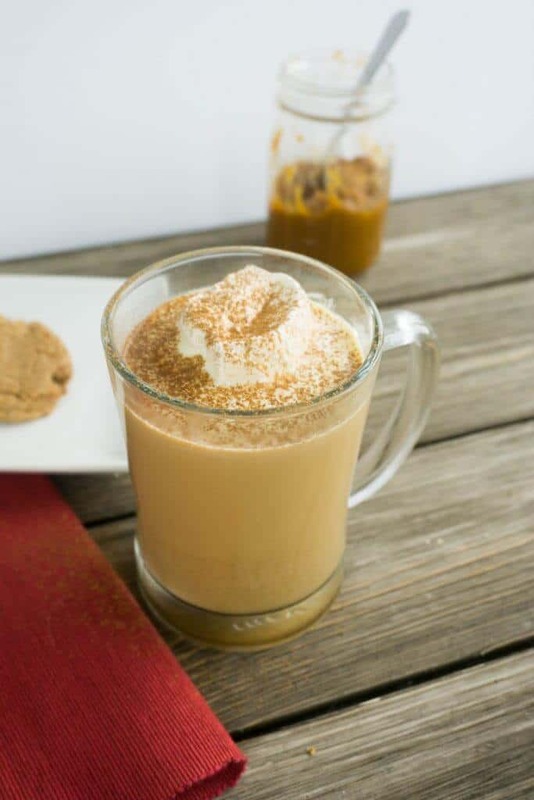 Trade 50 grams of sugar for five grams of net carbs in our Low-Carb Pumpkin Spice Latte recipe. All the fall flavor and coziness you could ask for, without all the artificial ingredients and added sugar. Have you checked out our Keto at Starbucks Guide? The guide is awesome and it has helped many people find ways to order their favorite drinks while keeping the sugar low. The only downfall is Starbucks doesn't carry a sugar-free white chocolate syrup. Don't worry! We have a Keto White Hot Chocolate Recipe that's going to get you in the holiday spirit and keep you in ketosis. With only 1g of carbs per cup, you can enjoy one every day this season. We hope you enjoy the holiday season this year, whether that means indulging in some carbs, or finding new keto recipes. Have a healthy mindset, and do what works for you. Comment below with your favorite keto holiday recipes or what your favorite holiday dish is. Maybe we can replicate it in the future!